Santa Baby, Bring These Books to Me! 1 - 3. 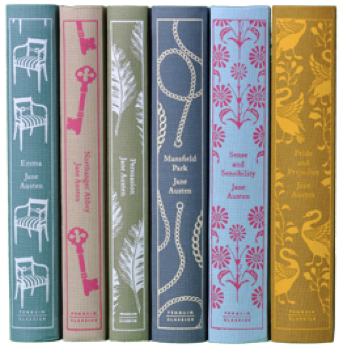 Northanger Abbey, Persuasion and Mansfield Park by Jane Austen (Penguin Classics Clothbound Editions) - I already have three of the Austen classics designed by Coralie Bickford-Smith, so I obviously want to complete the set. These are some of the most beautiful books, and I adore how they look all lined up next to each other. I don't have the complete collection of clothbound classics, but I'm getting closer! 4. The Pioneer Woman Cooks: Recipes from An Accidental Country Girl by Ree Drummond - Who hasn't heard of the Pioneer Woman? She's like the woman everyone wants to be. Is there anything she doesn't do? I honestly have no idea. 5. Keys to the Kitchen by Aida Mollenkamp - Add 1 part pretty cover and 2 parts "essential reference for becoming a more accomplished, adventurous cook," and you'll get all the reasons I want this book. 6. The Pioneer Woman Cooks: Food from My Frontier by Ree Drummond - If I'm getting the first book, I obviously have to get the second. Also, my mom has made some of the recipes from this book and they are DELICIOUS. So, I was sold. 7. What Katie Ate: Recipes and Other Bits & Pieces by Katie Quinn Davies - This is quite possible the prettiest book I've ever seen IN MY ENTIRE LIFE. I don't even care if the food is good. That's how gorgeous it is. 8. 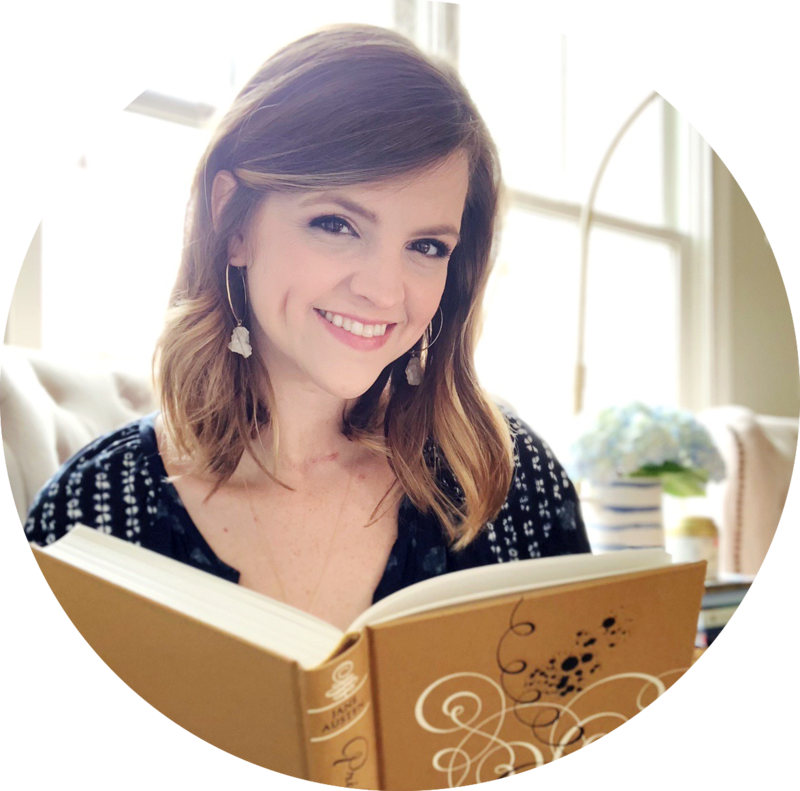 The Newlywed Cookbook by Sarah Copeland - I really like that this book is selling itself as a cookbook for newlyweds. I checked it out from the library first, and I really liked the format of the book. It's beautifully designed, and it's really meant for people who are new to the kitchen. LIKE ME! 9. This is a Cookbook: Recipes for Real Life by Max & Eli Sussman - I think one recipe made me want this book. I can't remember what that recipe was, but I hope it was worth a spot on my Christmas list. 10. Meant to Be by Lauren Morrill - Falling in love in London? I'm so there. Plus, this cover is so adorable! I've also been won over by some of the awesome reviews I've read recently. 11. My Life Next Door by Huntley Fitzpatrick - I know there have been mixed feelings on this book, but I just can't resist the cover. It's practically begging me to buy it! 12. Reached by Ally Condie - I can't wait to finish this trilogy! Not because I'm excited for it to be over - I just can't wait to see how it all wraps up. I was disappointed with the second book, so I really hope that I love the ending. 13. 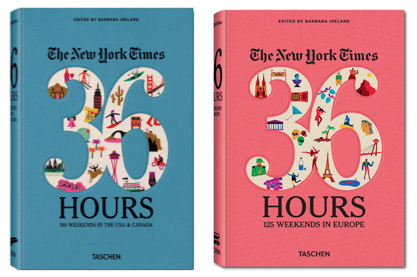 The New York Times 36 Hours: 125 Weekends in Europe - If you like to travel, you need to add both of these books to your shelves. They're so much fun to flip through, and you could literally dream the day away planning weekend trips. I already have the USA edition, which is why the Europe one is on my list this year. I can't wait to find this under the Christmas tree! I love those Penguin books! I've seen them around and they're beautiful. :) And I love the Pioneer Woman! I visit her website ALL THE TIME! And My Life Next Door! I have that and need to read it soooon! Aren't the Penguin books the best?! They are so gorgeous! I wish I had them all! 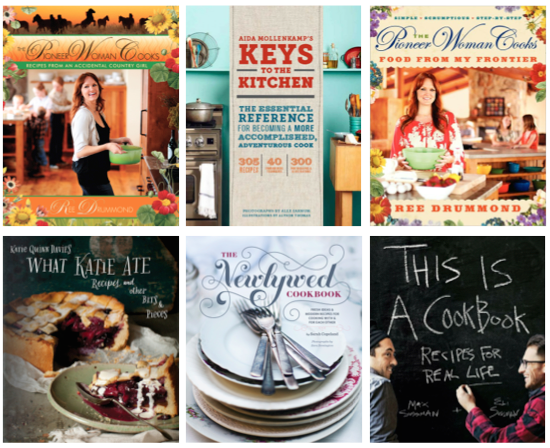 I don't really read Pioneer Woman that often, but I know everyone loves her and I've heard her cookbooks are awesome. I hope I get them! What wonderful choices! Those Penguin books are so beautiful; I've had my eye on them a long time. And I love flipping through the 36 hours books. I might have to add these to my own wish list! Happy Holidays! Hope you get everything you've wished for! I love flipping through the 36 Hours books - even if I don't get to go on the trips anytime soon. It's just fun to dream about future weekends! That classics set is gorgeous! How fun! Great list. Happy reading. 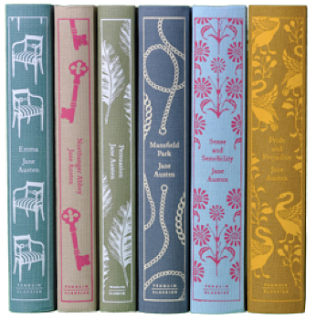 Those Austen books are GORGEOUS, I don't blame you for wanting them on your shelf. Glad to hear you loved My Life Next Door! I know some people who enjoyed it and others who were disappointed by it. I'm really hoping I love it because I ADORE the cover! You actually just gave me some excellent ideas for gifts for other people (in the future). 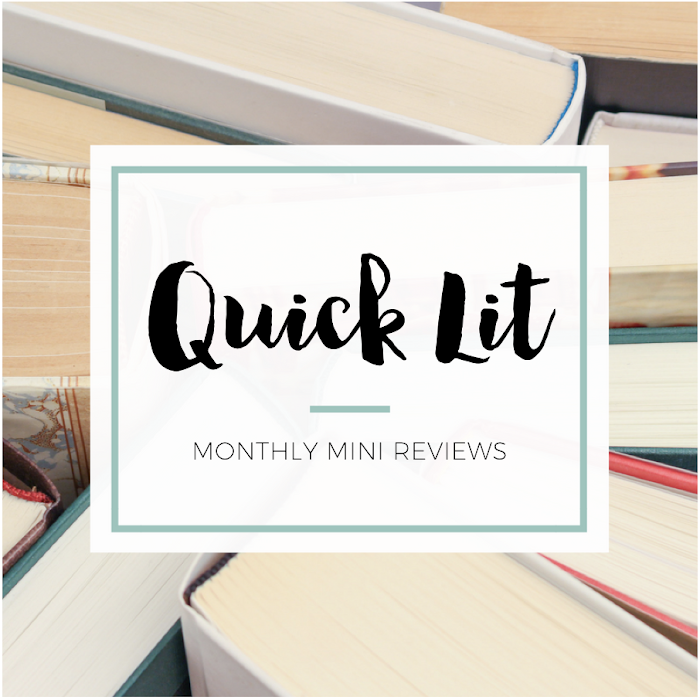 Great recommendations and such pretty books!! I love how the penguin books look lined up too. I didn't allow myself to get them, though, because I already have copies of most of Austen's books. Actually, I have four copies alone of Pride and Prejudice :) Plus I can read them for free at project gutenberg. 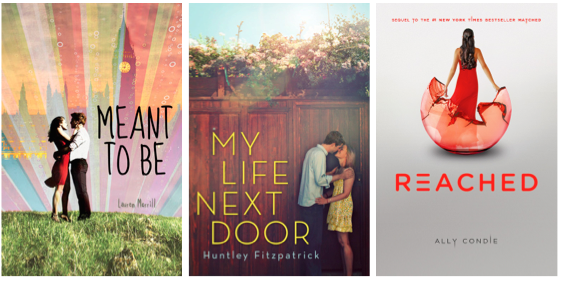 Meant to Be is totally adorable. Glad to hear Meant to Be is cute! I can't wait to read it! What a great batch of books! I haven't heard of the New York Times books, and now I want them both =P What a unique book idea! I've been dying to read My Life Next Door since it was reviewed on Rather Be Reading (although I can't remember if it was Estelle or Magan that read it!) and the library is taking its sweet time bringing it in for me =( I hope it's good though! I'll definitely review My Life Next Door when I'm done, so you'll know my thoughts, too. Hope the library sends it your way soon! I too love to cook. But it's those bottom two that really catch my eye.